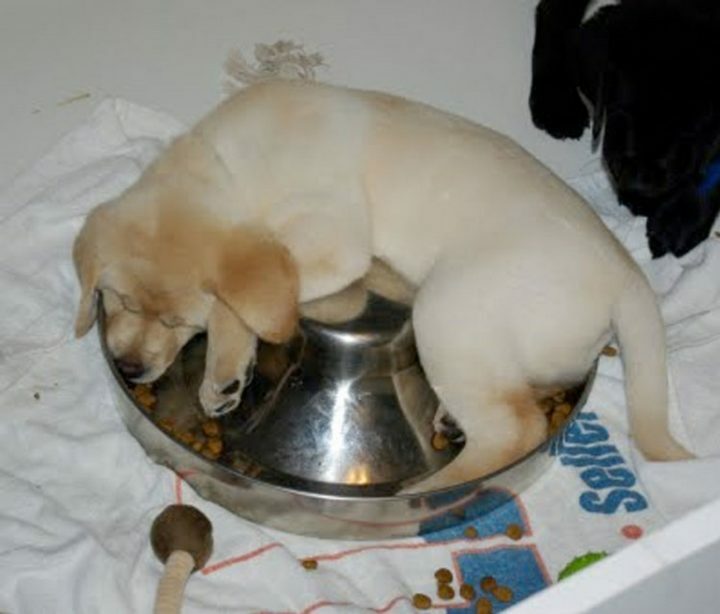 We all know cats sleep anywhere but all things considered, dogs sleep anywhere too! 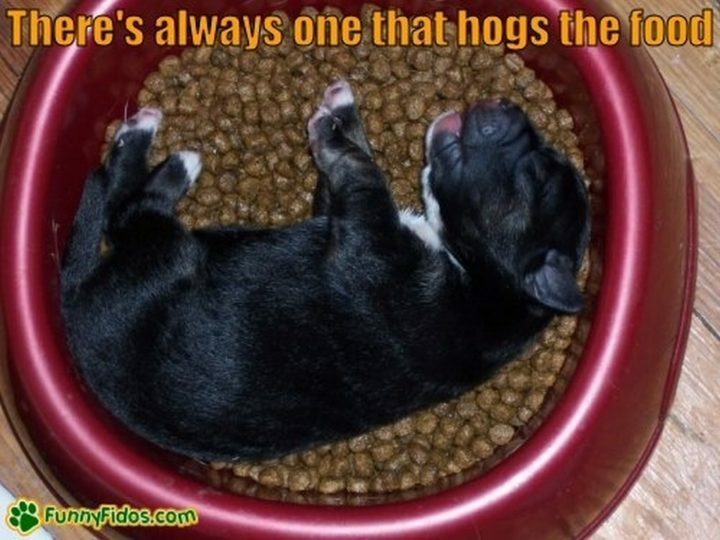 If you find your dog asleep in the food dish or sleeping with the family cat, it’s only because they’re happy and content. 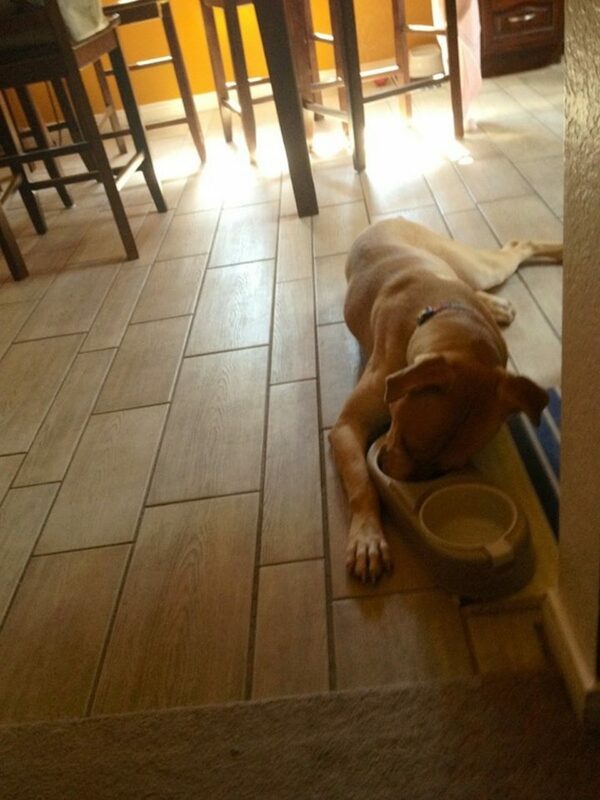 A happy dog with a full belly can’t resist a warm nap. 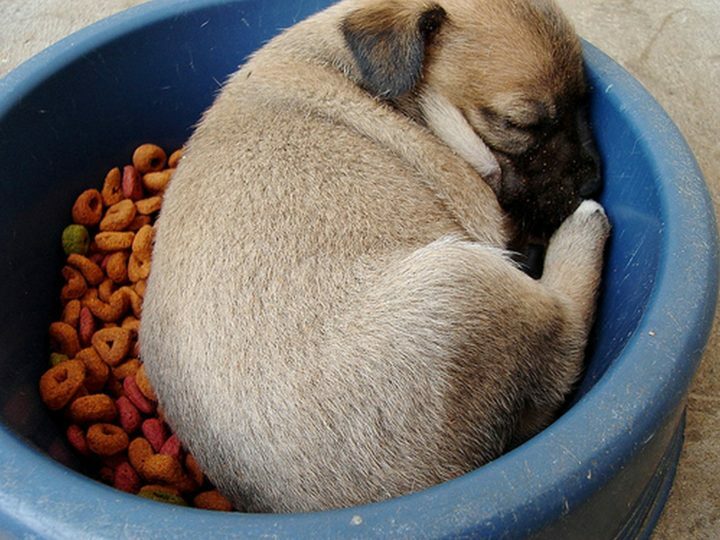 Here are 25 adorable dogs asleep in their food dish for your enjoyment. 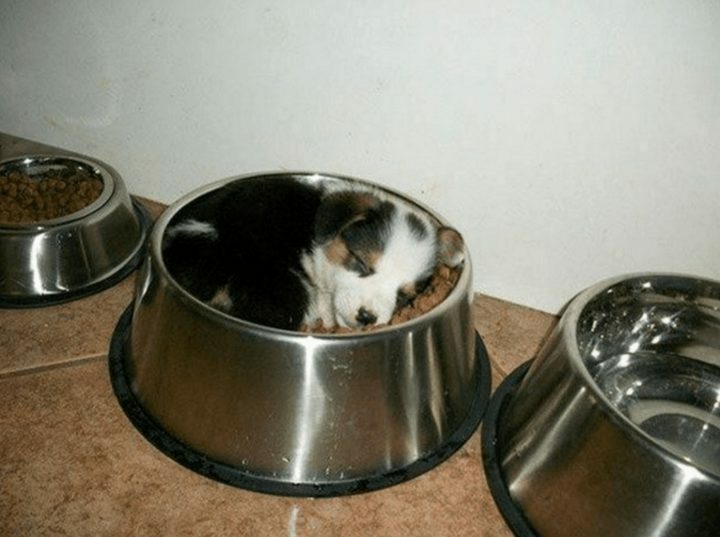 1) Food capacity: 100%. 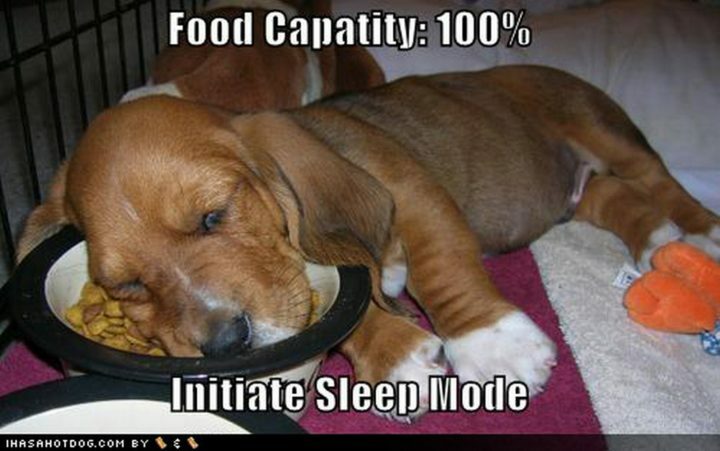 Initiate sleep mode. 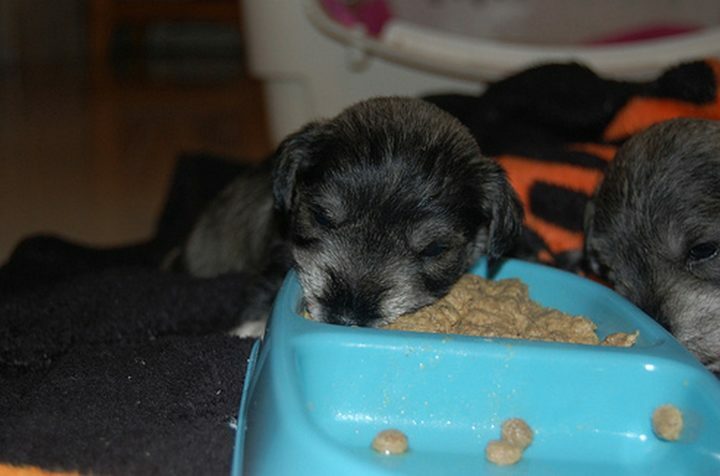 2) Taking a nap between feedings. 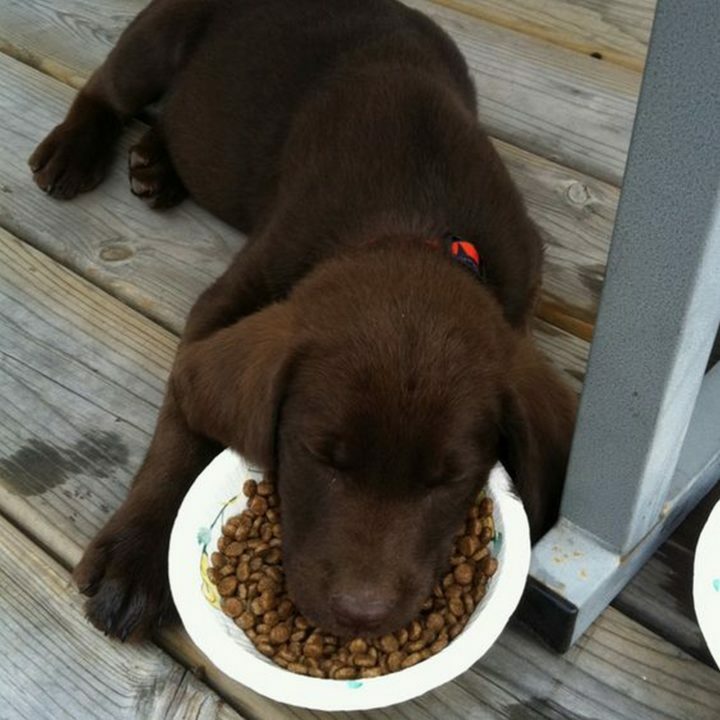 3) Pure happiness in a bowl. 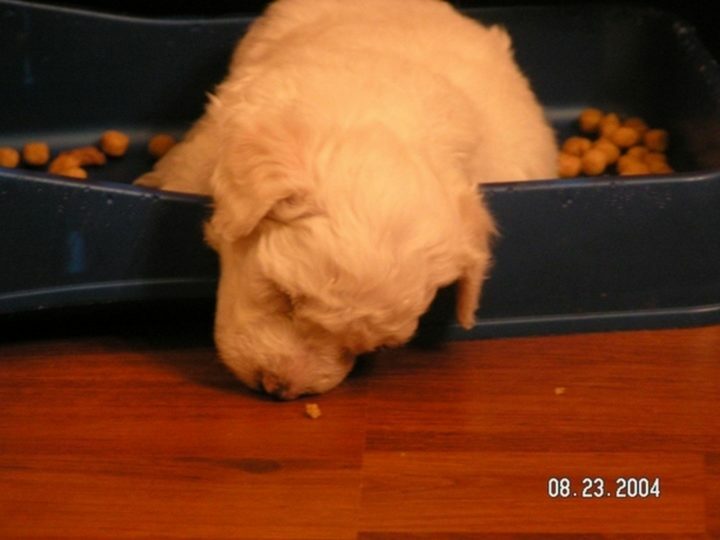 4) Hogging the food bowl. 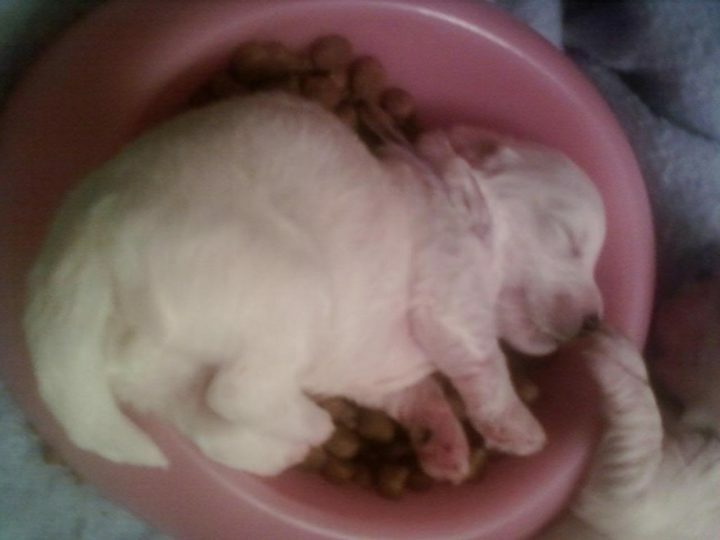 5) Tiny pup looks so cute in her pink dish. 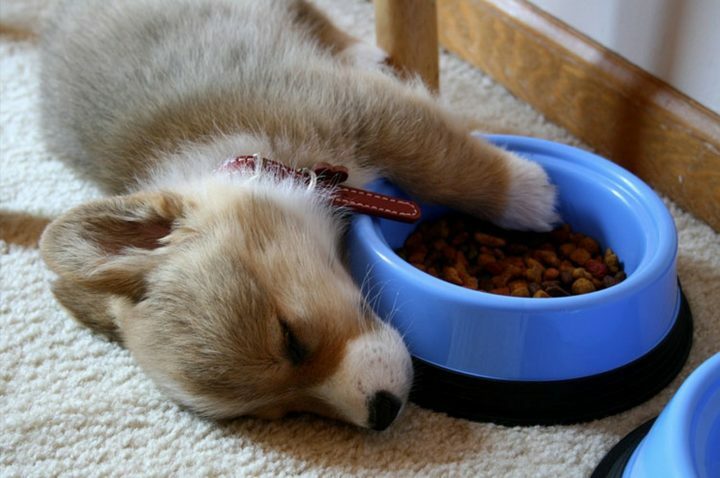 6) Cute Corgi pup guarding her food in her sleep. 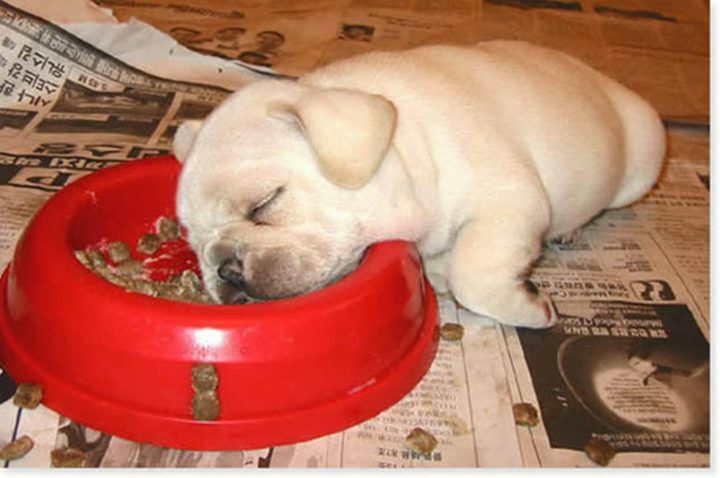 7) Eat, drink, and be thankful. 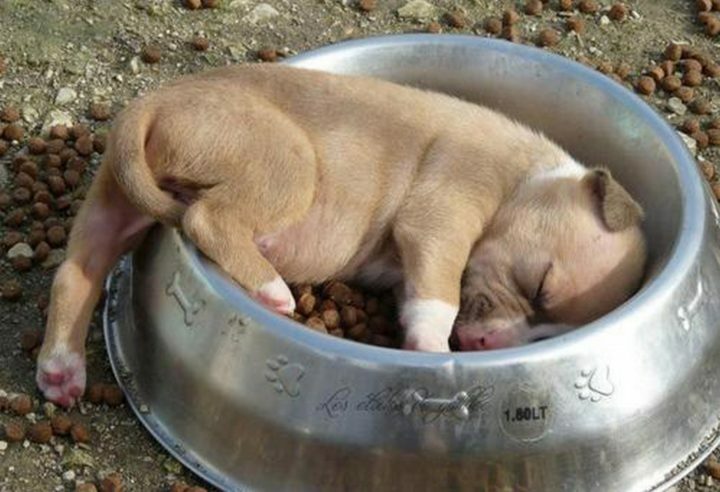 9) Look at that full belly! 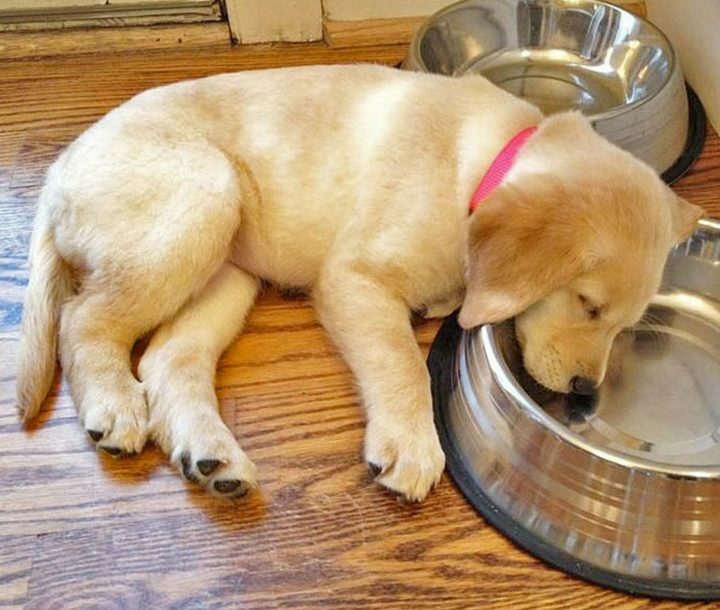 Time for a nap! 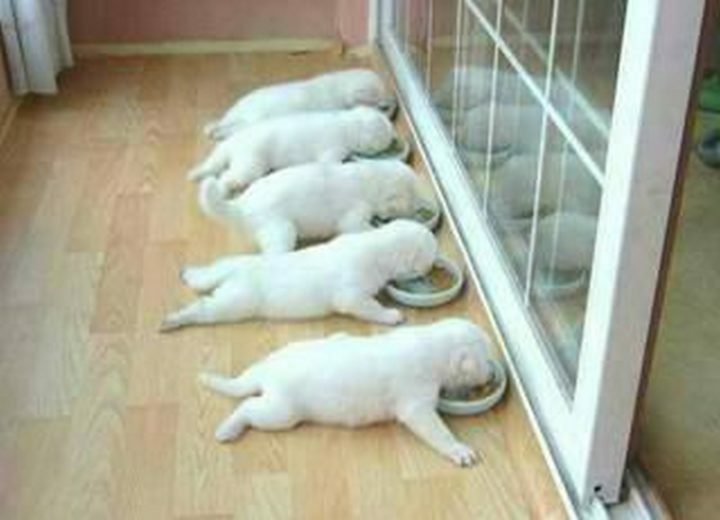 10) There’s always one that hogs the food. 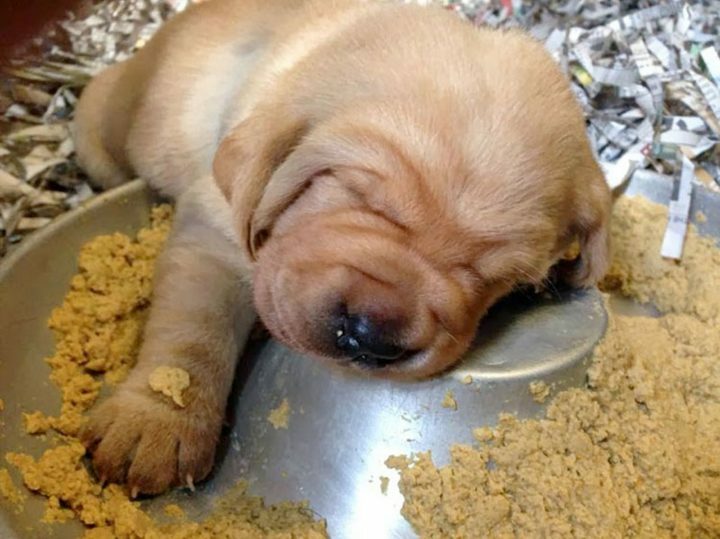 11) This little girl taking a nap while waiting for someone to fill her dish. 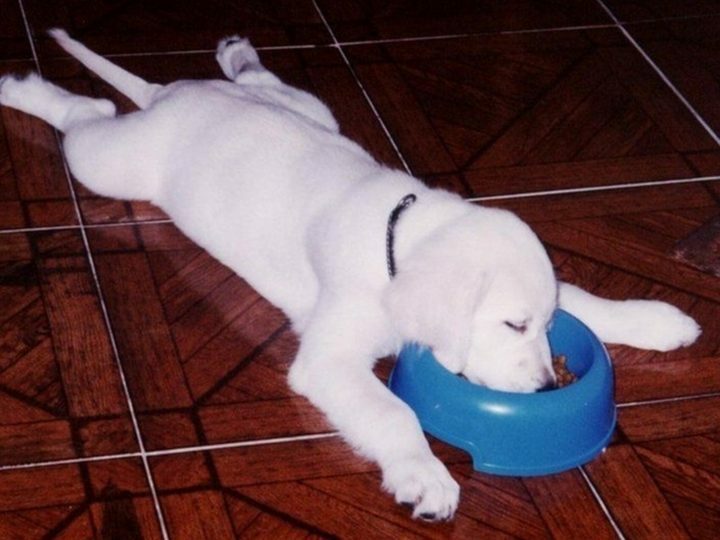 12) Almost got that last bit of kibble. 13) Adorable pup sits even if he doesn’t quite fits! 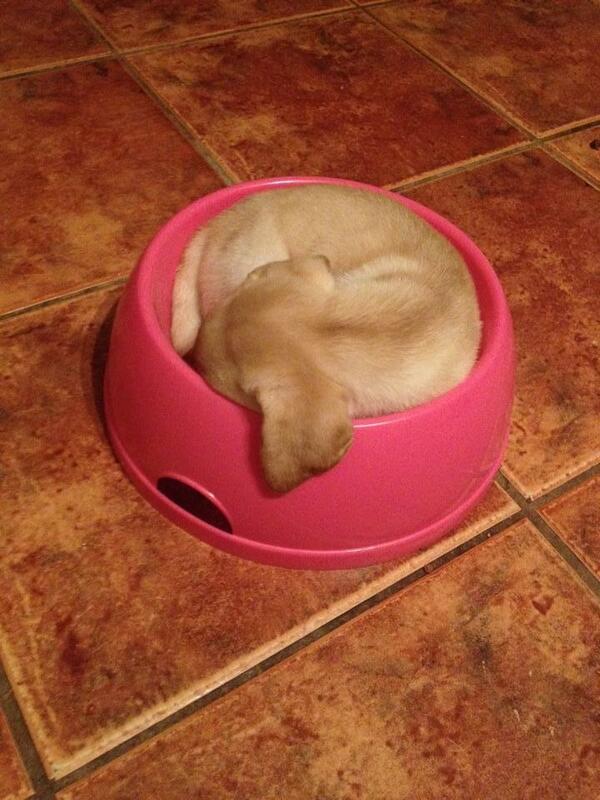 14) This little ball of fur fits in just right! 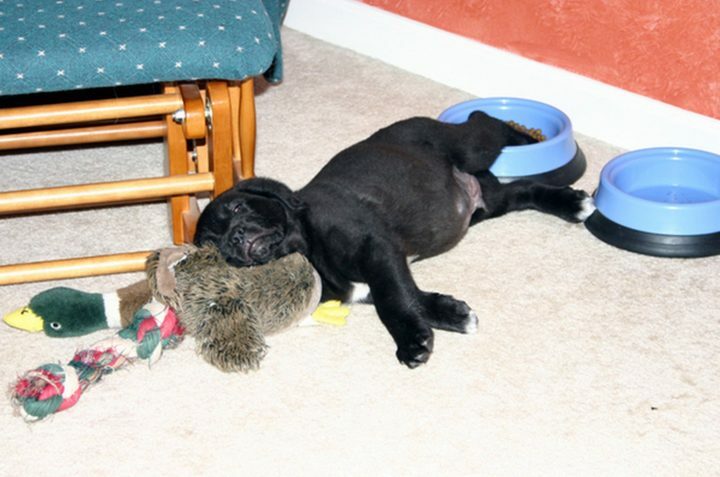 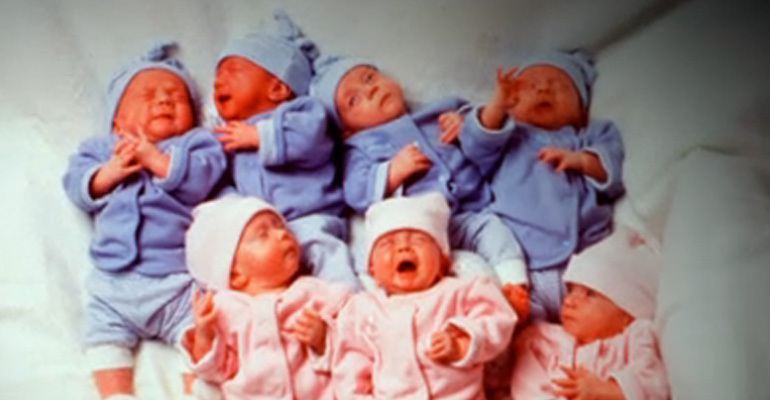 19) Asleep in a state of bliss. 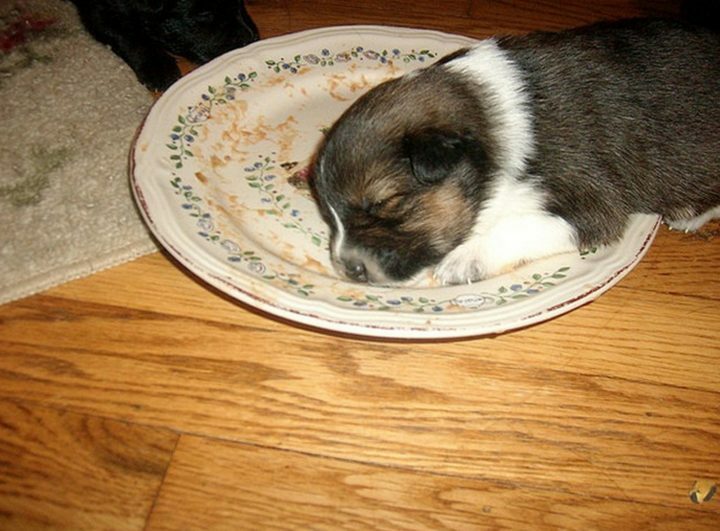 20) Awww, this little guy couldn’t decide if he was coming or going! 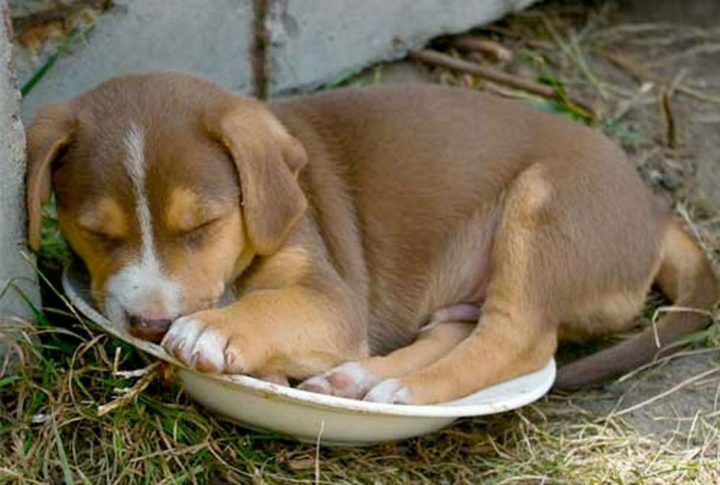 21) A cute puppy fell asleep on her food plate. 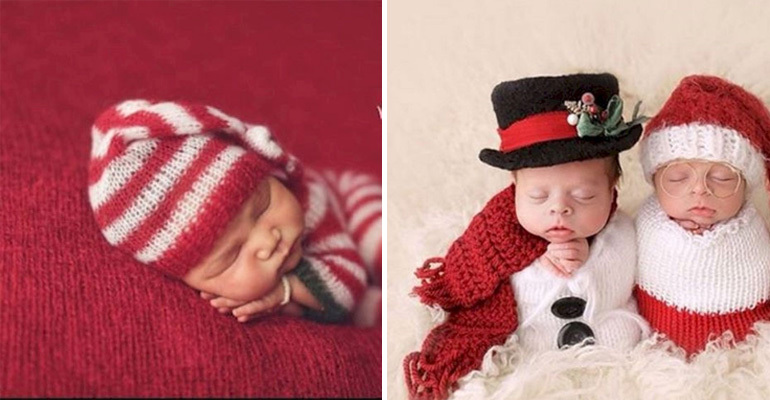 22) It doesn’t get any cuter than this. 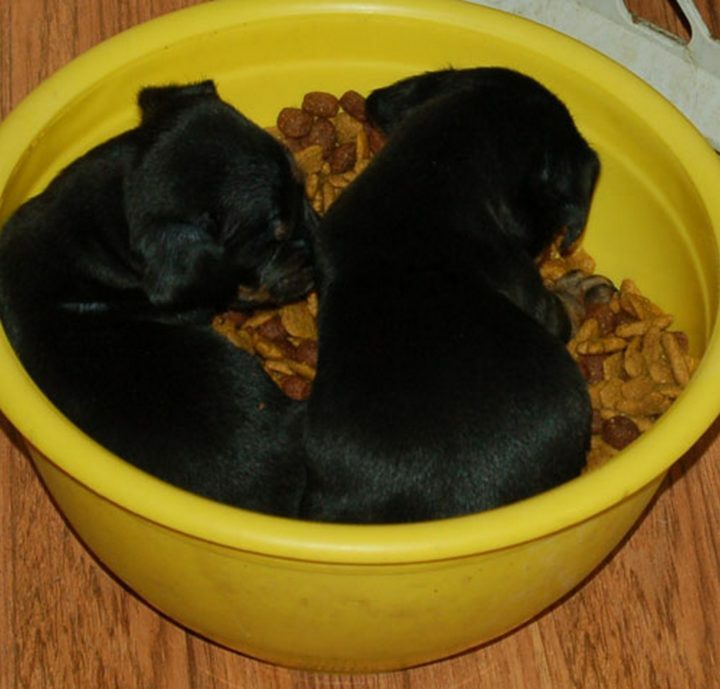 23) Little puggy asleep in his food bowl. 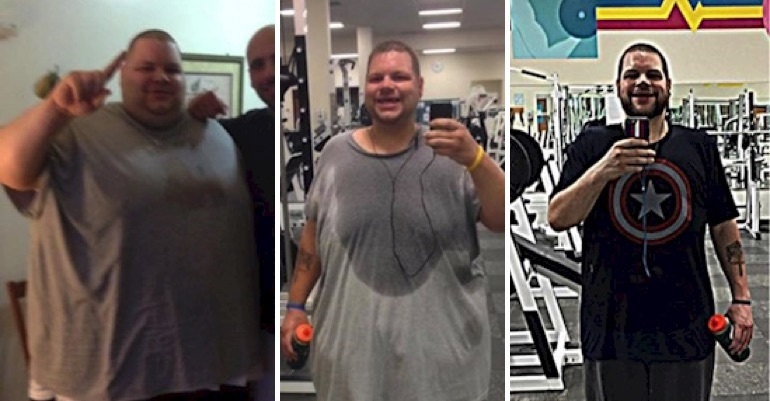 24) The bigger they are, the harder they fall. 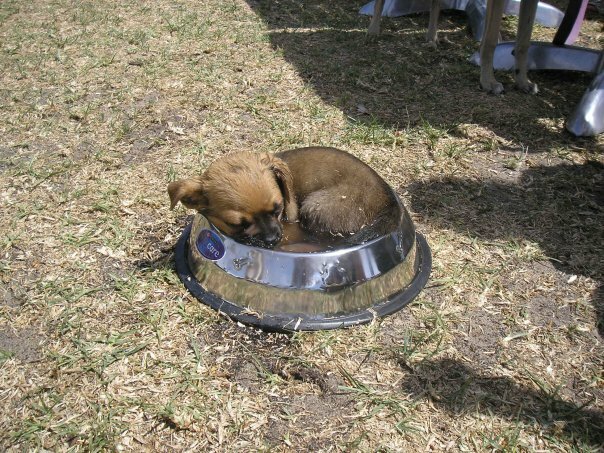 25) Taking a nap in the water bowl under the hot sun. 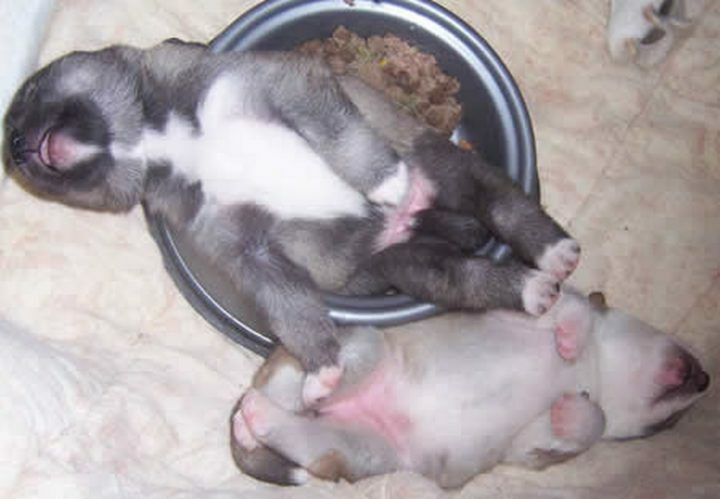 What I wouldn’t give to sleep like these tiny puppies! 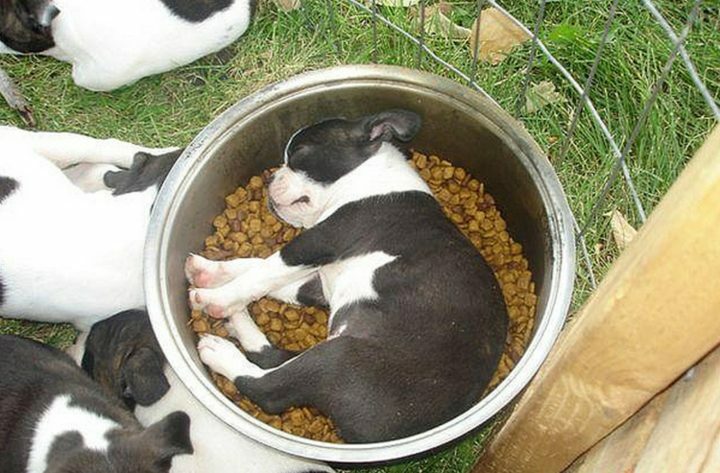 Please share these adorable puppies asleep in a state of bliss in their food dish with your friends and family.